Sony S1 Tablet Dubbed "TABLET S"
With September right around the corner, things are lining up for the launch of Sony’s first entry into the Android tablet space. Originally announced under the codename of the Sony S1, Engadget has got the scoop on the slate that will be released as the Sony Tablet S. We’ve seen the tablet with its inviting curved design plenty over the past few months, and leaks have spelled out nearly every detail of the 9.4-inch (1280×768) tablet. The Tablet S will ship with Android 3.1 when it launches sometime during the first two weeks of September. An upgrade to Ice Cream Sandwich is a planned stop along the device’s future roadmap. The PlayStation Certified tablet is being positioned as a media monster, with a built-in IR blaster for controlling your home electronics as well as extensive DLNA capabilities. Rounding out the Tablet S are dual cameras (5MP rear, 3MP front) and the promise of plenty of accessories. 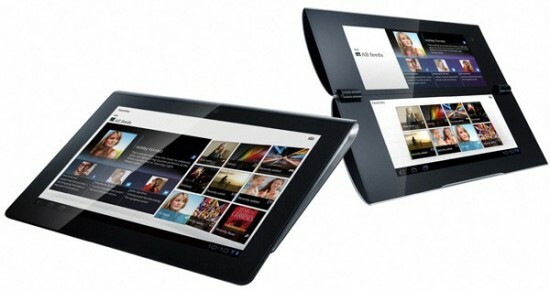 Sony will also bring the S2 to market soon, a dual-screen clamshell tablet headed for AT&T exclusivity. Its final name, as well as pricing on both devices, remains a mystery.